Prinav GIS Technologies Pvt. 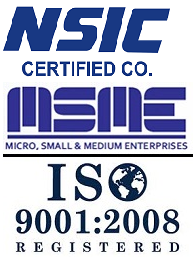 Ltd. is an ISO 9001:2008 Certified IT Solutions provider Company offering services in the field of REMOTE SENSING, GEOGRAPHIC INFORMATION SYSTEM, SURVEYING & MAPPING and ENGINEERING SERVICES to Government Departments & Corporate Sectors. Prinav GIS Technologies Pvt. Ltd. assures the best services in the above stated fields by maintaining reliability in terms of Quality, Cost Effectiveness and Completion of work in scheduled time framework. We believe in establishing and maintaining long – term relationship with our clients. We work with our customers by being an integral part of their organization. We understand the intricacies of managing a growing business and are committed to ongoing self-scrutiny in our effort to maximize excellence. The Company is founded on the vision of raising the benchmarks of services being provided in the industry and working in tandem to develop new solution to the client’s needs at a cost advantage. Executive Committee : The committee consist of retired Senior Government officers and Professional Consultants who devote time to train the young dynamic Engineers/ recruits, share their experience, knowledge for timely and effective execution of the Projects. At Prinav GIS Technologies Pvt. Ltd., we understand that good quality is good business. Consistent and reliable quality is never an accident. It requires commitment at all levels of the company, solid systems, discipline, and sheer pride in work. And, at the end of the day, we appreciate the repeat business from our clients. Good quality is indeed good business. Each map or drawing goes through multiple phases of controlled processing – Pre-study, In-process Control, Post Process Quality Control and final review before dispatch. Checks are made at each stage using both automated software tools and visual methods. All phases of processing are closely monitored and fully documented, which are periodically analyzed for identifying weaknesses (if any).Efficient internal channels of communication are maintained to ensure correct and speedy transmission of relevant information, such as client’s requirements and working instructions, to all team members. Clients are provided with regular updates on progress of the project. Problems in execution, if any, are identified at an early stage and are immediately brought to the attention of the client and resolved speedily.